One activity per day which is a choice Between a morning or evening game drive, walking safari or Rhino search. 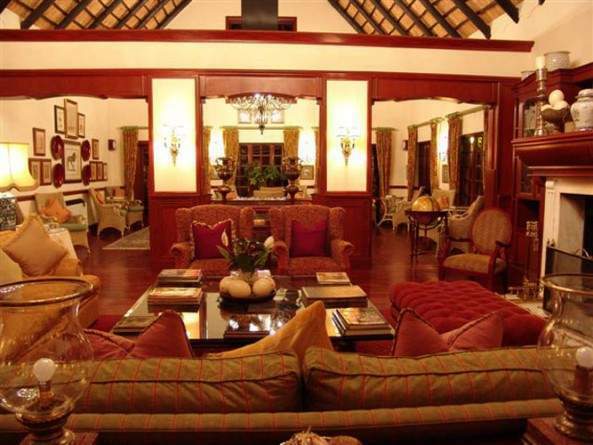 Experience luxury and hospitality that only The Stanley and Livingstone at Victoria Falls can offer. This is a hotel for the discerning traveler seeking true grace and style. 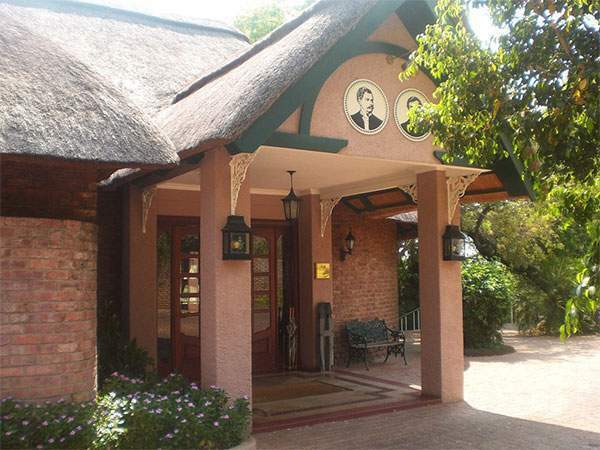 Stay in one of the exquisitely decorated suites, dine on sumptuous cuisine par excellence and indulge in any of the many exciting activities on offer - all the while only a stone's throw from the magnificent Victoria Falls. Just 15-minutes away from the magnificent Victoria Falls, The Stanley and Livingstone is situated on the Nakavango Estate, a 6 000-acre private reserve. 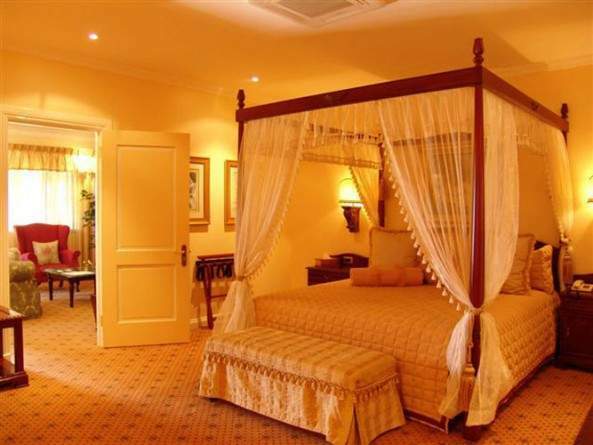 Each uniquely decorated suite has its own living room, Victorian-style bathroom and separate bedroom, with a choice of twin or king beds. Each suite comes complete with air-conditioning, mini-bar, electronic safe, satellite TV and DVD player, and patio overlooking the luscious garden. The luxurious bathrooms are equipped with a combination of old and new from the old cast iron bathtub to the modern power shower. 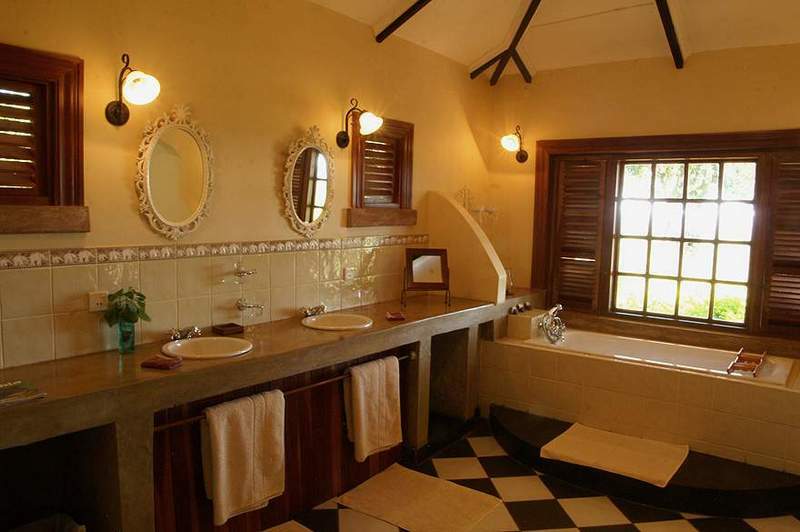 Each bathroom offers a range of amenities for a luxurious bathing experience. A Honeymoon suite, complete with four-poster bed and drapes, offers an outside spa bath with a secluded entrance and private view of the lush gardens; surrounded by the soothing sounds of the African bush. Soak up the sun in luxury just metres from the African bush. Relax alongside the sparkling swimming pool or take a stroll in the tranquil gardens. 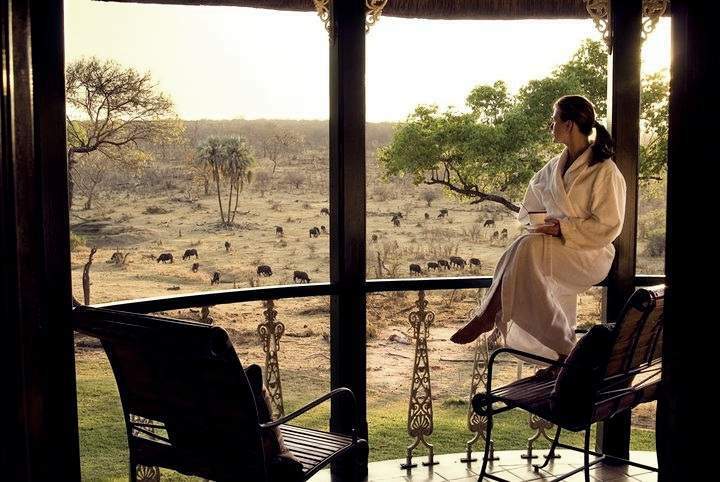 Order cocktails from the pool bar whilst watching elephants, kudu and waterbuck at the waterhole just 25 metres away. Enjoy sumptuous meals and delectable cuisine in the elegantly furnished dining room, prepared by the chef. Sample fine wines direct from our richly stocked wine cellar - a connoisseur's delight, with South African and French as well as fragrant, locally produced Chardonnay. delegates. 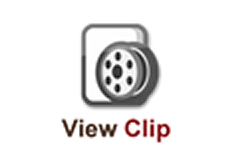 The privacy and attention to detail appeals to the specific needs of Executive meetings. Included in the fully inclusive rate are all the activities available on the Nakavango Estate. We have a Land Rover fitted to take 10 guests in comfort for day and night game-drives and offer game walks around the estate - a bird lovers paradise! For all fishing enthusiasts, our dam is continually stocked with Nileoticus bream, bass and catfish.